Register for 2018 ACHE MN Annual Conference. 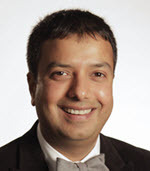 Rahul Koranne, MD, MBA, FACP, Chief Medical Officer, Minnesota Hospital Association is board-certified in internal medicine and geriatrics and was elected a Fellow of the American College of Physicians in 2006. He completed his internal medicine residency at the State University of New York, his fellowship in geriatrics at the University of Minnesota and earned an MBA at the Carlson School of Management at the University of Minnesota. Rahul worked in the smallest Critical Access health system in rural MN for 5 years and one of the largest integrated delivery systems in Minnesota for 10 years before joining the Minnesota Hospital Association as its first CMO in 2015. A primary care physician at heart, Rahul has worked in all the settings of care across the care continuum. Rahul has been very active at the Minnesota state level with various health reform activities since 2008 including Health Care Home Payment Methodology and MN’s State Innovation Model. Rahul serves on faculty at several schools at the University of MN including Carlson School of Management, Family Medicine and Community Health, School of Nursing and School of Dentistry. He is a board member and Chair of the Investment Committee at the Amherst H. Wilder Foundation in St. Paul and he serves on the Board of Visitors at UMN School of Nursing and the board of LeadingAge MN. Dr. Koranne’s passion lies in creating optimal health for every Minnesotan and helping engineer a nation-leading health system in Minnesota. 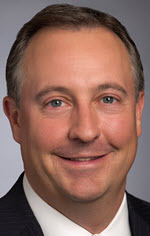 Dave Fasching is President of Fairview Ventures (“Ventures”) a business unit of Fairview Health Services (“FHS”). Ventures is the system-wide industry and startup entrepreneurial mining arm of FHS. Concurrently, Mr. Fasching serves as CFO and VP National Business Development of Fairview Pharmacy Services, LLC (“FPS”). FPS is a $1.2B specialty pharmacy services business owned by FHS that Mr. Fasching collaborated in rapidly growing from $7M. Mr. Fasching previously served concurrently as Interim CEO of ExceleraRx, a national specialty pharmacy network that was founded by and spun out of FPS. 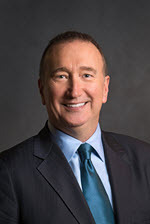 During his career, Mr. Fasching has held various leadership roles and board positions, as a private equity entrepreneur and with Deloitte & Touche. He received a juris doctor degree from Hamline University School of Law and Bachelor of Applied Science degree in accounting from Northern Michigan University. Mr. Fasching is a licensed attorney and CPA (both inactive). 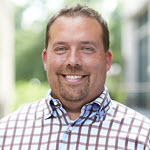 Jason Ross, is the Chief Technology Officer with over 20 years of Healthcare Information Technology experience. Prior to joining OneOme, Jason held the position of IT Section Head at Mayo Clinic and was responsible for leading their IT strategy for genomics, informatics and advanced analytics. In addition, he was the Associate Director of IT for Mayo Clinic’s Center for Individualized Medicine. Jason holds a B.S. in molecular biology from University of Wisconsin – Eau Claire and a M.A. in Healthcare Administration from St. Mary’s University of Minnesota. Lonny Stormo, CEO, has diabetes and is a co-founder of POPS! Diabetes Care. After a 30-year career at Medtronic—the last 11 years in Vice-President roles—Lonny resigned his position to lead POPS! Diabetes Care. Lonny led the Medtronic Therapy Delivery business and has been part of three business GM staffs. 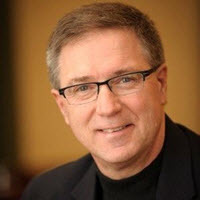 Significant portions of Lonny’s career include technical sales, leading development teams through regulatory approval, and working with products that include connectivity of data. Lonny holds a BSEE degree from South Dakota School of Mines and Technology and an MBA from Arizona State University. John Valiton is CEO of Reemo Health, a senior health technology solution designed to empower caregivers with actionable insights to improve the aging experience. As a 20-year business development veteran and entrepreneur, Valiton has developed partnerships with many national and international companies. He has been an avid technology enthusiast since an early age, and applied his interest in all things tech at the intersection of IoT, wearable technology, healthcare and data science through his position as a strategic advisor, Chief Revenue Officer, and now CEO for Reemo. Daniel McLaughlin, M.H.A, is the director of the Center for Health and Medical Affairs in the Opus College of Business and is active in teaching, research and speaking at the university, with a special emphasis on health care operations and policy. He also provides consulting services to health care and governmental organizations. McLaughlin is the author of a number of textbooks and management guides published by the American College of Healthcare Executives. He holds degrees in electrical engineering and health care administration from the University of Minnesota. From 1984 to 1992, McLaughlin was the administrator and CEO of Hennepin County Medical Center – the Level 1 Trauma center in Minneapolis, MN. He served as the chair of the National Association of Public Hospitals and Health Systems and served on President Clinton’s Task force on Health Care Reform in 1993. He was the associate administrator for Hennepin County and developed strategies for the health, social service and criminal justice systems. He has been with the University of St. Thomas since 2000. 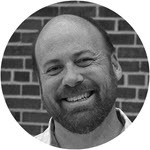 Mark Arnold joined CDI in 2011 as vice president, strategy and business development. In 2012 he became regional vice president for the Minnesota region, and in 2013 he was named senior vice president & general manager, West Zone, encompassing all CDI operations in Arizona, California, Minnesota, Washington, and Western Wisconsin. In 2014 Mr. Arnold became responsible for national business development initiatives including mergers, acquisitions, product line development and a variety of hospital and physician partnerships. In 2017, Mr. Arnold was promoted to chief operating officer. Mr. Arnold has over 16 years of healthcare industry experience, including over six years as a senior health care research analyst at investment bank Piper Jaffray. He holds a B.S. degree in Mechanical Engineering from Columbia University in New York City, and an M.B.A. from The Stephen M. Ross School of Business at the University of Michigan. Dr. David Homans is a practicing cardiologist with Park Nicollet Health Services, and serves as Senior Advisor for Patient Experience for the HealthPartners family of care. His formal medical training includes and MD degree from Tufts University, an internal medicine residency at Tufts-New England Medical Center and a fellowship in cardiovascular disease at the University of Minnesota. The first half of his career had an academic focus at the University of Minnesota where he conducted research in coronary physiology (authoring or co-authoring 50 papers), and directed the cardiovascular fellowship training program. He came to Park Nicollet in 1988, serving initially as chair of the cardiology department and subsequently as Senior Medical director of Medical Specialties from 2006-2015. During that time he took on the clinician leadership role in the organization’s patient experience work. He currently divides his time between clinical cardiology and work as senior advisor for patient experience – focusing primarily on improving patient-clinician relationships. Two areas of particular emphasis include a comprehensive first year curriculum developed for all clinicians during their first year of employment at HealthPartners, and a relationship focused shadow-coaching program for established clinicians. Dawn Hucke joined Mayo Clinic 2002 as a Manager for their Audit and Business Consulting practice with focused efforts in process improvement, system implementation, patient privacy (HIPPA), and co-leading the organization’s implementation of a robust Sarbanes-Oxley compliance program. While in this role, Dawn also had the opportunity to lead the design of Mayo Clinic’s Enterprise Risk Management (ERM) program in collaboration with the Compliance department. After an extended experience within the healthcare system caring for her daughter (now a 10 year cancer survivor), Dawn sought out a career change so that she could be part of improving patient experience. She completed her Masters in Organizational Leadership in 2013 where she focused her studies on leadership, patient relationships/communication, and emotional intelligence. 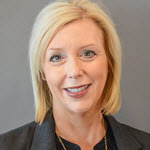 Dawn became certified as an EQ-i practitioner and worked in the Office of Leadership and Organization Development at Mayo Clinic focusing primarily on leadership development and employee engagement. 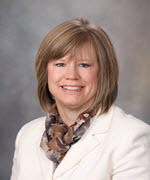 Three years ago, the opportunity arose for her to lead the Patient Experience efforts in Rochester and partner with her respective leader colleagues to design and implement the patient experience strategy for Mayo Clinic. Dawn has experience in developing curriculum, facilitation, and presentations. She has had the opportunity to speak at the MIS Training Institute (Mayo Clinic’s Sarbanes-Oxley program), Mayo Clinic’s Quality Conference (Patient Experience Consultations and Service Recovery), PMP Certification Program (Emotional Intelligence), the Performance Excellence Network (Service Recovery), and World Congress – Healthcare (Empathic Communication to Improve Adherence and Wellbeing), and Beryl Institute Patient Experience Conference (The PXMA Tool: Assessing your Patient Experience Program). Dr. Kathleen Ziegler is a visionary healthcare executive creating, implementing, and optimizing solutions to improve healthcare quality, safety, consumer value, and financial performance, while redesigning models of care that achieve enhanced patient and family experience outcomes. Dr. Ziegler is a veteran, Army Nurse Corps Captain, and the Principal of Lifeline to Healthcare Quality, LLC, a woman owned, small business serving healthcare organizations as a healthcare advisor and consultant. Most recently, Dr. Ziegler was the Vice President of Value-Driven Solutions for TruthPoint, a patient experience company. An enthusiastic and passionate healthcare executive known for customer-oriented focus and stakeholder engagement, Dr. Ziegler is a Fellow in American College of Healthcare Executives and a Certified Patient Experience Professional from Patient Experience Institute. With over 25 years of healthcare experience, Dr. Ziegler brings value to healthcare leaders through courageous and visionary leadership to transform current healthcare models to deliver valuable outcomes that enhance “health” meaningful to patients, families, and stakeholders. 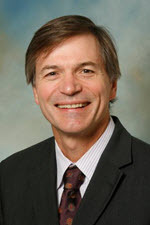 Dr. Ziegler holds a Doctor of Health Administration from Central Michigan University, Michigan; a Masters in Science in Health Administration from Columbus State University, Georgia; a Bachelors in Science of Nursing from Mankato State University, Minnesota; and a Past President of the ACHE-MN Chapter. James Hereford is president and CEO of Fairview Health Services. Based in Minneapolis, Fairview is a $4.4 billion non-profit, integrated health system affiliated with the University of Minnesota. Fairview’s 24,000 employees and 2,600 aligned providers provide exceptional clinical care, from prevention of illness and injury to caring for the most complex medical conditions. Fairview has proudly served its communities for 100 years and currently cares for more than 625,000 people annually. James provides strategic direction and ensures operational effectiveness for Fairview’s entire continuum of services, which is unmatched in the region. It includes 40+ primary care clinics, a wide range of specialty services, retail and specialty pharmacy, home care, senior services, an integrated provider network and community outreach programs. Fairview owns seven hospitals, including University of Minnesota Medical Center and University of Minnesota Masonic Children’s Hospital, as well as regional health insurer PreferredOne. Fairview also is a founding member of specialty pharmacy network Excelera and many other unique partnerships that advance our vision of driving a healthier future. 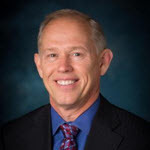 Prior to joining Fairview, James served as chief operations officer at Stanford Health Care. Previous roles included chief operations officer at the Palo Alto Medical Foundation and a series of leadership roles with the Group Health Cooperative in Seattle. James holds bachelor’s and master’s degrees in mathematics from Montana State University. He has taught courses with Stanford University’s Graduate School of Business, University of Washington’s Master of Health Administration program and The Ohio State University’s Masters of Business Operations Excellence program. He is a frequent writer and presenter on the topic of lean management systems and transformation. Mike McMahan is the President and CEO at St. Francis Regional Medical Center in Shakopee, Minnesota. St. Francis is a community hospital uniquely owned by three healthcare system (Allina Health, Park Nicollet/Health Partners and Essentia). Previously, Mike worked in various operations roles for the HealthEast Care System. Clinically Mike got his start as an Exercise Physiologist at Michigan Heart PC in Ann Arbor Michigan where he also began his leadership career. Mike is known for his focus on people, community and relationships. He graduated from Winona State University with a Bachelor’s degree in Exercise Physiology and later went on to purse his MBA at Eastern Michigan University and Metropolitan State University. Mike and his wife live in Maple Grove with their three kids. When not with family or working you can find Mike running towards his goal of completing a marathon in every state. Bryan Nermoe, serves as the executive vice president of Sanford Health of Northern Minnesota, since 2015. Sanford Health of Northern Minnesota serves more than 143,000 people across 14,000 square miles. In his role, Nermoe is responsible management and operations of Sanford Health of Northern Minnesota which includes the Bemidji and Bagley medical centers, long-term care facilities and numerous clinics in the surrounding region spanning as far north as International Falls and as far south as Park Rapids. Nermoe has more than 20 years of experience in the health care industry as a leader in multi-specialty group practice, integrated health systems strategy, planning, development and operations. 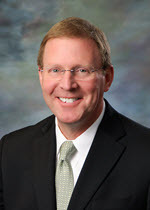 He joined Sanford in 2008 and has held various leadership roles including chief operating officer for Sanford Clinic Sioux Falls region and enterprise vice president of population health strategy and enterprise services including pharmacy, laboratory and post-acute services. Nermoe holds a bachelor’s degree in health care administration from Concordia College in Moorhead, Minn. He and his wife, Katie, have two daughters. Tim Weir provides administrative leadership for Olmsted Medical Center, a regional, not-for-profit, integrated healthcare system based in Rochester, MN. OMC’s 185 clinicians and 1100 other healthcare professionals serve at 21 locations, including two multi-specialty clinics, a Level IV trauma hospital with a 24-hour emergency room, two FastCare retail clinic, a Skyway Clinic in downtown Rochester, and 11 community branch clinics outside Rochester. In addition, OMC operates a for-profit subsidiary for pharmacy services and a joint venture for Advanced Vision Diagnostics and LASIK Services. Weir previously served as Vice President—Ambulatory Services at Baystate Health System in Springfield, MA. A non-profit teaching facility for Tufts Medical Center, Baystate includes three hospitals with over 750 beds, $1.8 billion in gross revenues, and approximately 11,000 FTEs. Prior to his time at Baystate, Weir was Assistant Administrator of Operations for Dakota Clinic—Innovis Health in Fargo, ND, a multispecialty system of 176 physicians at 21 locations in North Dakota and Minnesota. Weir also serves on several community, state, and national boards and professional associations. Weir holds an MA in Health Administration and Business Administration from the University of Iowa and a BA from the University of Minnesota—Twin Cities. 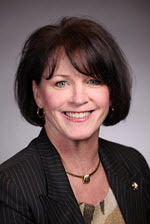 Susan Doherty holds a Masters in Health and Human Services Administration from Saint Mary’s University of Minnesota and a BS in Political Science from Minnesota State University – Moorhead. 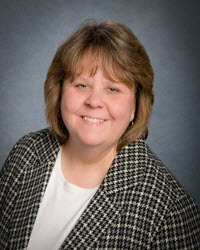 Susan serves as faculty for the Masters in Health and Human Services Administration, focusing on health policy and ethics for St. Mary’s University of Minnesota and additionally provides consultative services to health-related organizations and clients in the upper Midwest. As a former corporate public affairs officer for MeritCare Health System (now Sanford Health) and the Executive Director for the Health Policy Consortium (membership made up of Altru, MedCenter One, Trinity, and MeritCare Health Systems), Susan brings a strong background in strategic planning and government relations, including federal payment policy and healthcare reform, community benefit and population health improvement, state Medicaid redesign, and professional practice issues. Prior to those roles, she served as a political science instructor at North Dakota State University. In her community endeavors, Susan is a frequent speaker and advocates for research, education, and care redesign for children with complex health issues, for organ and tissue donation, and for community health improvement strategies. She serves on a number of boards and committees, including the Institutional Review Board for Olmsted Medical Center, Education Committee for the American College of Healthcare Executives – Minnesota Chapter, the Pediatric Palliative Care Advisory Committee and the MHealth Mothers’ & Children’s Advisory Committee at University of Minnesota Masonic Children’s Hospital, and the Board of Directors and Executive Committee for Children’s Cancer Research Fund. Frank Jaskulke accelerates health technology businesses success as Vice President of Member Services for the Medical Alley Association, the largest state health tech association in the United States. Working with the leadership of global corporations, new ventures, investors, academics and service providers Frank to accomplish the mission laid out by Medical Alley’s founders in 1984, “to better advance mankind’s ability to take care of itself.” An unrepentant nerd and policy wonk, Frank worked on the bioscience committee of the Minnesota House before joining Medical Alley in 2005. 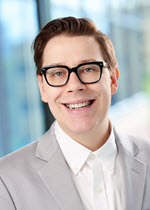 He holds a BA and Masters in political science both from the University of Minnesota with an emphasis in technology policy and American Indian governmental relations.